Explicit Barry Windham's Cadillac, The Undertaker's Cross & Reno or Bust! 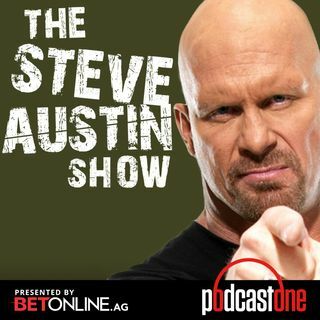 Steve Austin and his lovely co-host Kristin (aka his "illustrious wife") had quite the experience in the Reno airport! They're sharing that story... and they're answering all sorts of questions about - The Undertaker's cross, Bill Goldberg's return to WWE and Monday Night RAW, fishing, Dustin Rhodes & the Golddust gimmick, growing tomatoes & jalapenos, Donald Trump takin' a stunner, the infamous back hoe cover-up, the Thesz Press, HBK vs AJ Styles, ... See More and why pineapple does not belong on pizza!